While historians mark May 15 as the anniversary of the date on which Palestinians were expelled from their historic homeland in 1948, the fact is the ethnic cleansing of the Palestinians began in earnest in 1947. In strict historical terms, 1947 and ‘48 were the years in which Palestine was conquered and depopulated. June of this year also marks the 50th anniversary of the Israeli military occupation of the 22 percent of historic Palestine that was not seized by Zionist militias in 1947-48. Among other notable dates, Nov. 2 is starkly remembered as the 100-year anniversary of the Balfour Declaration. The United States government has abdicated its long-term commitment to the so-called ‘peace process,’ leaving Israel alone to decide the course of its own action, while the rest of the international community stand hapless. Now that pipedream is over — Israel is expanding its illegal settlements at will, constructing new ones and has little interest in adhering to even the US-envisaged ‘negotiated agreement’ paradigm. In the meantime, the Palestinian leadership remains visionless. 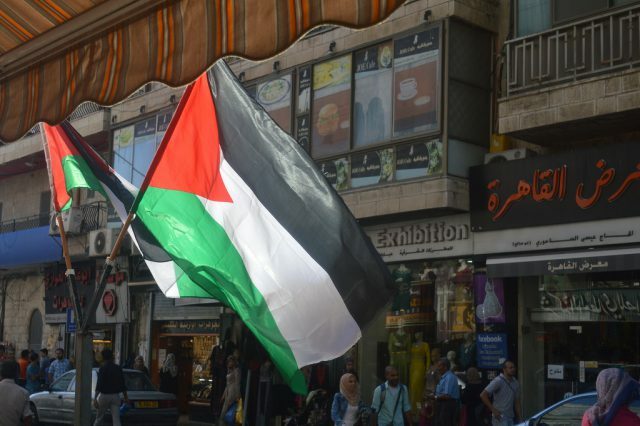 Although politically defunct and practically impossible, the Palestinian Authority (PA) still insists on the two-state solution formula, wasting precious time that should be geared towards arranging a future that is predicated upon coexistence in a shared land and a joint future. Indeed, the official Palestinian discourse has been quite confusing and inconsistent for some time. Aside from the small school of Israel’s ‘new historians,’ Israel continues to hold into its own version of history, much of which was constructed in the early 1950s under the guidance of then- Israeli Prime Minister, David Ben Gurion. True, 2017 is burdened with significant and tragic anniversaries, but these dates should not be used as opportunities to protest, registering only a fleeting movement of solidarity. They should offer the chance to rearticulate a unified Palestinian discourse that crosses ideological and political lines.